SEO makes sense as a national (or even international) concern for huge retailers with many locations and broad distribution networks, but not for small businesses. With the bulk of their customers coming from their surrounding areas and making decisions based on convenience, it’s vital for small businesses to focus on local SEO — optimizing content to attract local visitors. But what does a localized SEO strategy consist of? What elements demand your attention, and how can you make the necessary changes? In this guide, we’re going to answer these questions by going through the steps you should take to improve your local SEO and providing examples along the way to add clarity. Let’s begin. 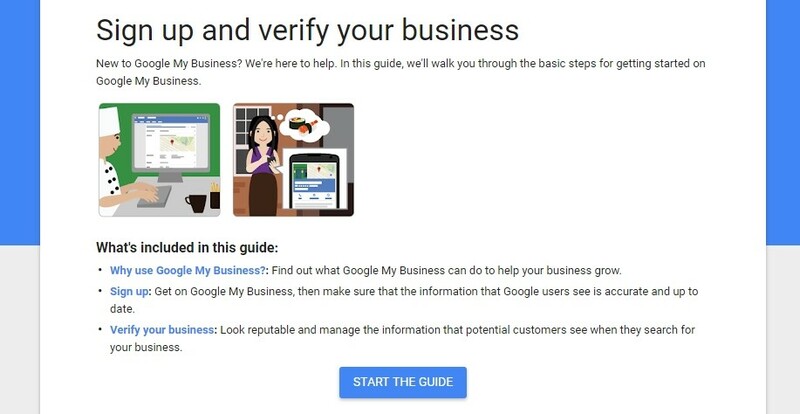 Google My Business is Google’s centralized hub for business listings, featuring all the essential information required to provide regional listings on Google Maps, return them in Google searches, and integrate them with Google’s overall ecosystem. Since Google accounts for the overwhelming majority of organic traffic, this is the listing that really matters. If you’re unsure about anything, Google’s help section is very thorough. Source here. To begin, visit the link above and click ‘START NOW’. You’ll then need to enter your business name, set your address, and define both your business type and the area you serve (if you provide a delivery or call-out service). This will determine the information that shows up in Google panels, so make sure you set everything correctly before you commit to it. Before your information can be accepted, Google will need to verify its accuracy. To do this, it will typically want to post a card to your given address with a 5-digit verification code for you to enter. In some cases, you can verify your details through a phone call or an email, but non-card verification options are only available at Google’s discretion. 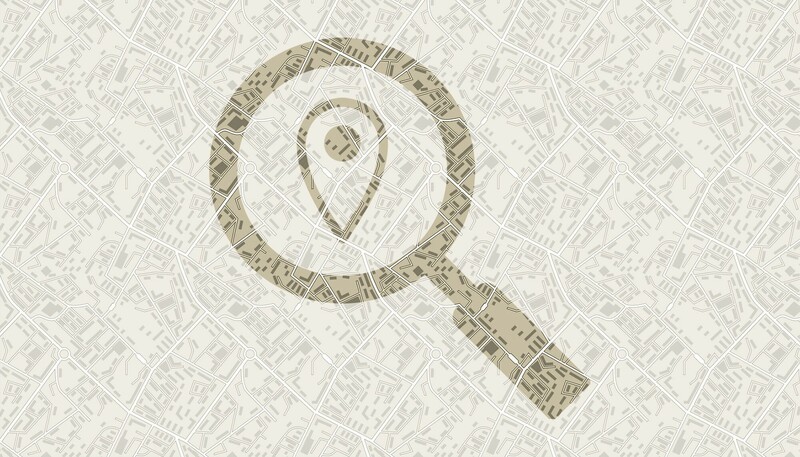 NAP stands for Name, Address, and Phone Number, and NAP information is key for local search. If your business name appears on local sites, your address is within the area, and your phone number is of the right kind, then you’ll be considered relevant for local searches. Otherwise, Google is likely to question the value of your inclusion. 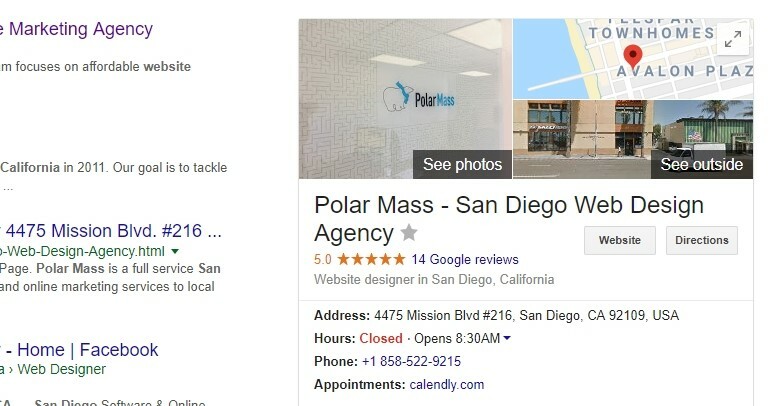 While the NAP basics are covered through your Google My Business listing, you can also have them listed elsewhere — on a business recommendation site, for instance — and if you have multiple listings that don’t exactly match, it will undermine the credibility of your GMB listing. Seeing the NAP information reassures users. To ensure that your details aren’t questioned, use the exact same NAP format no matter where you post the information (and use Schema.org markup to tag the fields). If you’re not confident that you can be consistent, then simply limit its use to your GMB listing and your website. Metadata is information about your pages — their topics, titles and purposes. When search engines crawl your site to index your pages, they use your metadata to help them reach conclusions about what those pages are supposed to do. In the process, they also look at your URL structure to see how your pages relate to each other. By optimizing your metadata and URLs for region-specific terms, you can make it abundantly clear that your content is aimed at local audiences. When users search within that area (or using your area keywords), search engines will be more likely to select your site as the option most relevant to the localized search intent. See how the title, URL and heading work together. Source below. Can you see the issue for local search? SD might stand for San Diego, but Google can’t know that for sure, and the lack of a straightforward hierarchy makes it really hard to tell what purpose the page is intended to serve. And look at the page title, opening with ‘Businesses for sale in San Diego California’. No vague language or generic terms, just a succinct summary. By including region-specific terms in your metadata and your URL structure, you’ll make it far simpler for search algorithms to figure out what makes your pages relevant. Once you’ve optimized your metadata and URLs, you’ll have covered all the worthwhile technical changes. The next thing to do is start focusing your content production on tightly-targeted regional pages. You may know that it’s worth having a regularly-updated blog to show that your site is active and productive, but there’s every chance that your content is fairly generic and less than ideal for SEO of any kind, let alone local SEO. Address that by coming up with some ideas for content you can write about your area. Note the steady use of local keywords. Source here. Try writing a roundup of local hotspots, or a guide to getting around, or some general advice for visitors. Work the same kinds of region-specific keywords you used for your metadata and URLs into your content, particularly in subheadings, but being careful not to go overboard. The text needs to read as natural and valuable. The more content you can produce of this kind, the more of a sign it will send to search engines that your site is relevant for that area, and the more organic traffic you’ll attract through those pages being ranked in search results. By this point, you’ve done most of the work you need to do to target local SEO, but something you should do on an ongoing basis is reach out to authoritative sites in your area in an effort to build up links through collaborations, reviews and basic listings. If you team up with another company for a super-sized piece of local-centric content, for instance, you can benefit from the quality of the content and a valuable backlink from their site that will suggest to search engines that your site belongs in that kind of authoritative company. Getting listed on TripAdvisor can be incredibly lucrative. Source here. And if you get local reviews (through newspaper sites, for example, or sites like TripAdvisor or Yelp), you can soon build up a consistent stream of likely-to-convert referral visits. There you are — a detailed guide to the most important things you can do to kickstart your local SEO efforts. Follow these steps, maintain a focus on local content, and you’ll stand a great chance of securing a strong place in local-centric search results.